Neck pain is one of the most common complaints we hear. Whether it’s a result of hunching over a computer all day or caused by an accident or injury, neck pain can be a serious problem. 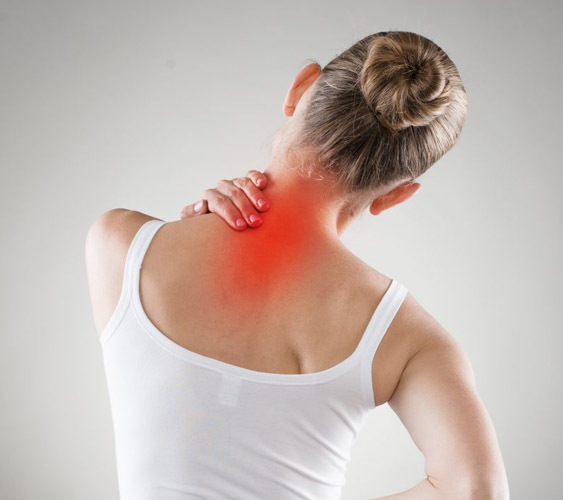 Pain can reside in the neck itself or can extend to the shoulders and down to the middle back. Most neck pain is associated with poor posture combined with age-related wear and tear. Physical therapy helps alleviate neck pain and symptoms by providing proper exercises and valuable prevention education to reduce the causes of tissue strain. Our physical therapists help strengthen stability muscles and restore tissue so that you can live a pain-free life. Rarely, neck pain can be a symptom of a more severe problem. Seek immediate medical care if your neck pain is accompanied by numbness or loss of strength in your arms or hands or if you experience shooting pain in your shoulder or down your arm. Rear-end auto collisions often result in a whiplash injury, which occurs when the head is jerked backward and then forward, straining the soft tissues of the neck. Knowing what to do about your neck pain is the first step to getting better. Book your physical therapy appointment today! No referral required. As your trusted health resource, we look forward to speaking with you! Call us today at 841.0150 or a PT evaluation.